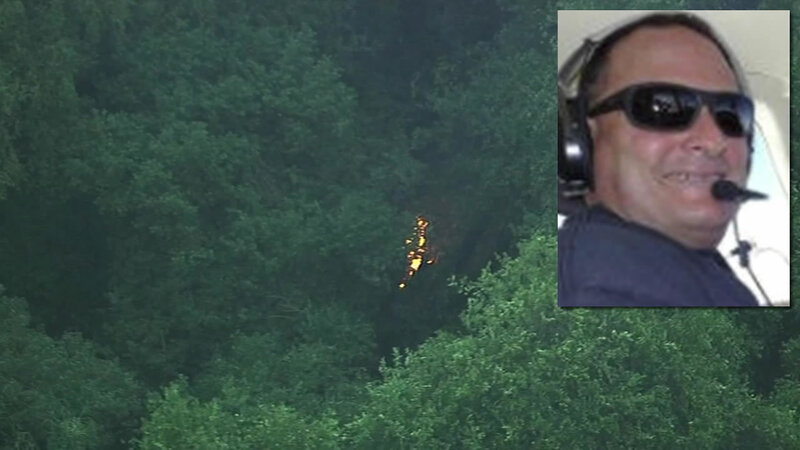 CASTRO VALLEY, Calif. (KGO) -- Crews will try to recover the body of a pilot killed in a plane crash in Alameda County. John Sacco of Rocklin was on his way to Oakland from Placer County when he lost contact with air traffic control late Tuesday morning. Sky7 HD was overhead when search crews found the flaming wreckage in a deep canyon near Palomares Road in Castro Valley. Officials think weather played a role in the crash.